Life’s a drag when you have fatigue, lugging your body around as if you were wearing cement shoes. Its tough to feel energised, joyful and healthy when you are heavy. 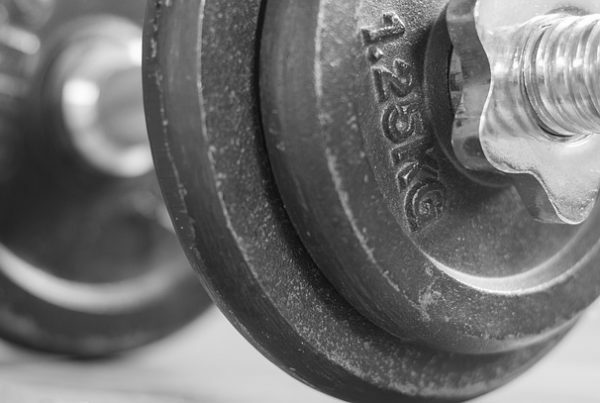 As activity typically breeds more energy, it can be tough to get the ball rolling. 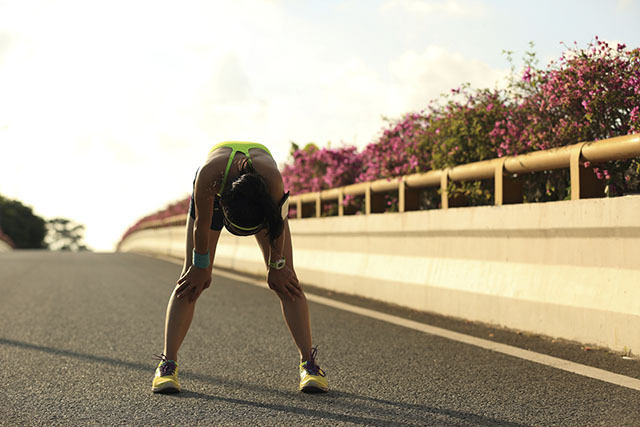 Fatigue, like other symptoms of digestive inefficiency, relates to your microbial community. This community ives within your digestive system. In order to live a balanced, rewarding, fulfilling life, we want the quality of our lives to satisfy our needs. Our quality of life enables us to surpass our basic needs and shoot to meet our higher needs. What would you do with more energy? Would it influence your charisma, your passion, your purpose you show up with each day? The energy you radiate when you interact with friends and colleagues is felt. That energy you pour into your hobbies, your play, and your work is essential. The sense of fulfilment that energy brings is highly rewarding when you can give everything your all. Your quality of life is greatly influenced by your energy. It is this quality that breeds the joy you experience through your reality. 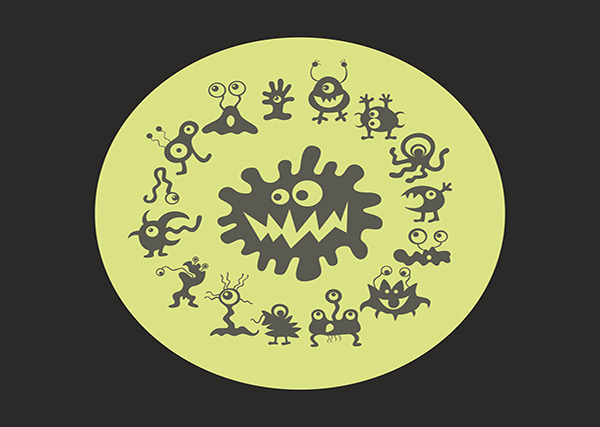 Strangely enough, your microbes are as much a part of you as the very cells that constitute you. They influence how you think, feel and act! These bacterial allies can become depleted, and infiltrated by some more malevolent relatives. Our ability to generate energy via our microbes is therefore diminished. Our vital energy, our quality of life and thus our experience of reality decreases as a result. Complications in our microbial make up almost always come with their share of digestive discomforts. When this happens, antibiotics typically get prescribed as a way to kick things back into order. Now antibiotics save lives. They are essential for the defence against dangerous microbes. We need antibiotics, but do we need them for non-life threatening cases? Those with Irritable Bowel Disease and Irritable Bowel Syndrome present disordered microbiomes. Therefore, it might be of interest to look to therapeutic strategies to restore a harmonious balance. What about herbs? Can they help? In non essential cases, it might be of interest to look to natures pharmacy for a herbal hand. 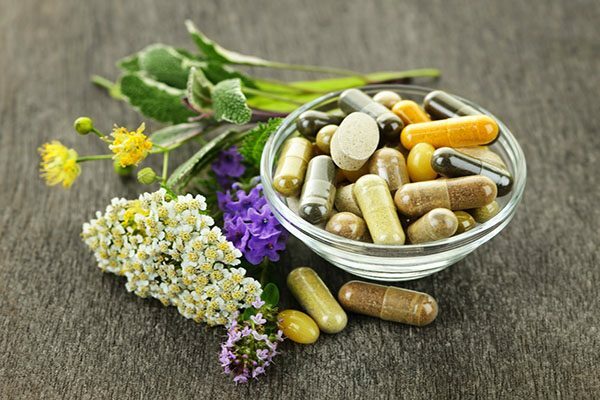 Antimicrobial herbs exert various actions against pathogenic micro-organisms – bacteria, fungi and viruses. Keeping these pathogens in check provides room for beneficial bacteria to flourish. They maintain our digestive integrity. They harness precious nutrients for energy, and strengthen our immunity. In addition, they play a large role in regulating our mood! This is a big hitter when it comes to microbial defence . It is especially useful for infections of the digestive tract. 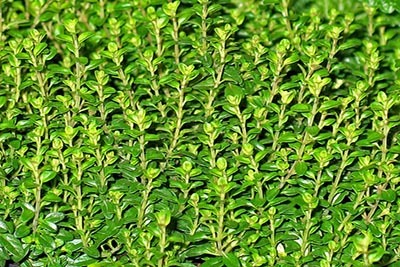 Thyme was found to inhibit the growth of Candida albicans. Candida is a pathogenic yeast which can take over the GI tract, which causes symptoms like poor concentration and fatigue. Sugar is fuel for this overgrowth. So it might be worth minimising simple sugar consumption. An essential oil preparation is one the most effective way to unleash the antimicrobial power of Thyme. When applied as an oil, Thyme is effective even at minimal concentrations in inhibiting the growth of E. Coli and C. Albicans when comapred to other herbs. E coli is typically found in greater concentration in those with IBS, and therefore could help to rebalance the microbiome long term. A well known herb for its calming terpenes. In addition to its antimicrobial properties, Lavender exerts multiple digestive benefits. Those include relaxing the muscles of the digestive system and easing related discomfort. 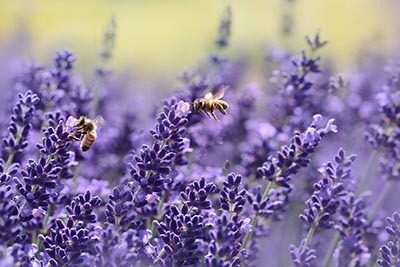 Lavender, along with caraway, bitter orange and Ajowan were found to inhibit the growth of potentially pathogenic bacteria Candida albicans, Clostridium spp., Bacteroides fragilis. In addition, they also spared the beneficial bacteria found in our GI tracts. A couple of which include Bifidobacterium and Lactobacillus. The study authors concluded that due to , an essential oil preparation of these herbs, including Lavender shows potential in treating IBS. The study authors concluded that a combined essential oil preparation of these herbs is most effective. Because these herbs selectively spare beneficial bacteria and inhibit pathogenic bacteria. This shows potential for Lavender and a combined oil in treating IBS. This is where the action of some herbs differs from antibiotics. Some beneficial bacterial strains remain, in contrast to the nuking effect of many bacteria with antibiotics. 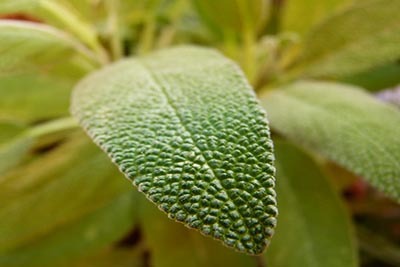 The Monoterpenes and Phenols are just two of many essential plant oils of sage. But these in particular display noticeable antibacterial action. They show to be effective against E. coli, S. aureus, B. cereus and Salmonella spp . This may be of special interest to those with Chron’s. A study looked at invasive bacteria in patients with IBD. They found in those with Chron’s disease that 98% of invasive bacteria was E.Coli compared to 2% in healthy individuals. These E.coli strains induce inflammation and disruption of the gut wall, which contributes to Chron’s development. These essential oils act in a way that inhibit the growth of bacterial cells. In addition they inhibit the production of toxic bacterial metabolites, which can cause inflammation (of the GI tract). 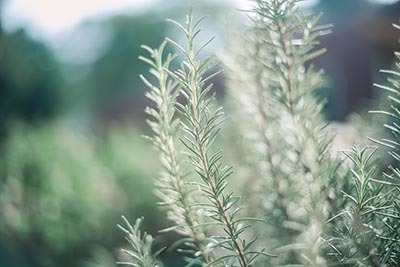 Rosemary Oil was also found to be effective in inhibiting the growth of 4 species of highly resistant gram negative bacteria – E. coli, P. mirabilis, K. pneumoniae, P. aeruginosa. These results are promising, but seen only in vitro – thats in a test tube. The conditions to which herbs act could differ in vivo – in a living organism. However, Rosemary may effectively spring clean some resistant bacteria within a disordered gut flora. If so, its application might be of interest in those with IBS, IBD and leaky gut. In addition to the potent antimicrobial action of Rosemary Oil, it also possesses strong antioxidant qualities. The antioxidant action of rosemary is an added bonus. 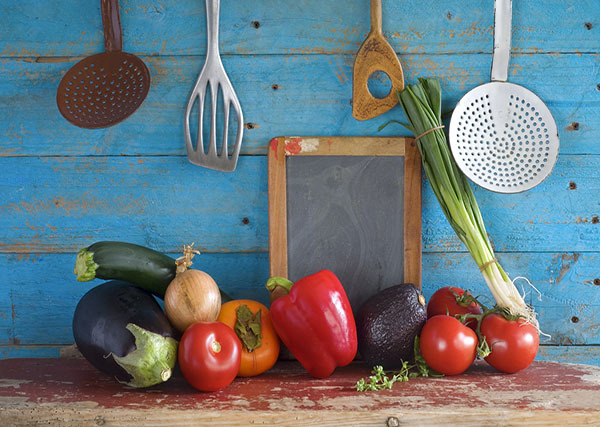 This preserves the health gut cells – enterocytes, defending them from oxidative damage. Damaged gut cells are a typical underpinning of the nasty symptoms in digestive disorders. Their preservation can ensure optimal nutrient absorption. 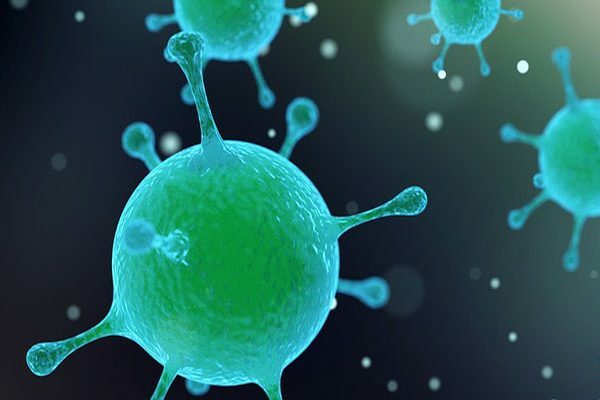 Allow and block pathogens from entering the body, and improve immunity. Garlic is a pre-biotic. It supplies fuel to the indigenous beneficial bacteria in your gut, keeping them strong and supporting their function. Your beneficial microbes use this fuel to preserve the health of your enterocytes. 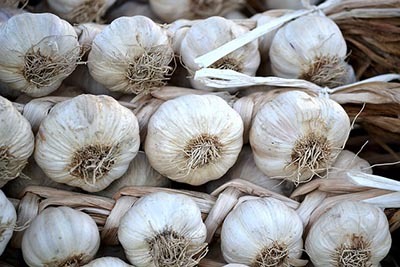 Products that your beneficial flora secrete from prebiotics like garlic include Short Chain Fatty Acids. Your gut cells use these to maintain their structure, absorption and immune function. Garlic is a good one to keep the current beneficial bacteria strong in the microbiome. When fed, it strengthens their resistance to the antimicrobial action of essential oils. Some herbs can inhibit the growth of beneficial bacteria as well. Healthy microbes means healthy gut cells, reducing some of the disorders of digestion. 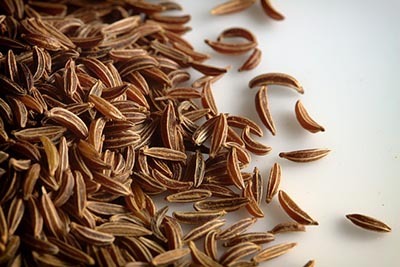 Caraway shows effectiveness in correcting intestinal dysbiosis (imbalance in microbes). It successfully inhibited the growth of pathogenic bacteria whilst sparing beneficial bacteria. This is an important distinction as beneficial bacteria are already depleted in those with IBS. The sparing of beneficial flora and inhibition of pathogenic flora could allow a window in which to correct the imbalance within the microbiome. Caraways antimicrobial action is mostly underpinned by plant terpenes. These include carvone, limonene and linalool, which comprise 95% of the oil. Peppermint exerts calming, cleansing and soothing properties. It is a go to herb for anything digestive related. This includes its action as a carminative and as an antispasmodic, soothing digestive unease. Additionally, peppermint interacts with our microorganisms showing potential bactericidal action. 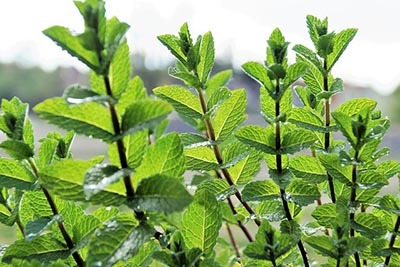 Peppermint was studied for its antibacterial action on E.Coli bacteria in an essential oil preparation. The study found peppermint to exert strong antibacterial properties, combatting intestinal microbiota imbalance typically found in people with SIBO and IBS. In fact, peppermint even showed equally powerful antibacterial action on E.Coli as the antibiotic, rifaximin which is typically used to treat SIBO. This is exciting because this demonstrates potential in killing pathogenic bacteria, not just inhibiting their growth. 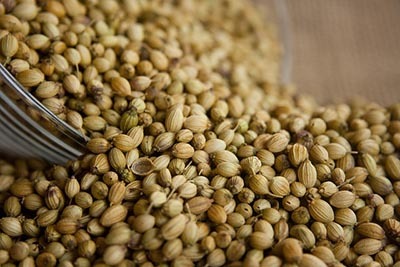 Coriander Seed is abundant in volatile oils which exert strong action within the digestive system. The intestines in particular. An essential oil preparation has been shown to exert strong antibacterial, even bactericidal effects towards E.Coli. Coriander’s terpenes Linalool, Pinene, Camphor and Cymene were found to exert the strongest action against E.Coli. The awesome antibacterial activity of Coriander seed was even shown to outgun a traditionally used antibiotic, Rifaxamin. The antibacterial action of Coriander seed even lasted up to 6 hours. This is the same time that would elapse between servings of conventional IBS medicine. Therefore, Coriander seed oil may be appropriate for the treatment of SIBO and IBS. 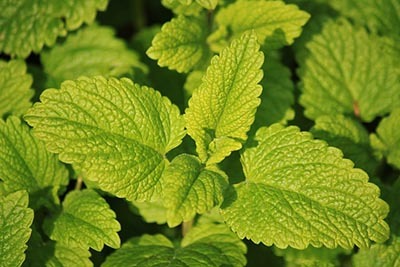 Lemon balm has presented some significant action against E.Coli as a bactericidal. This means that rather than just inhibiting its growth, Lemon balm can actually kill off overpopulated E.Coli. That folks, may be a useful treatment approach for IBS and SIBO, either alone or in combination with other oils. Lemon Balm oil has even shown bactericidal action against the food borne pathogen Salmonella enterica. Salmonella is a pathogenic bacteria which can commonly find its way onto our foods. In Italy, a Salmonella outbreak in children lead to acute infectious gastroenteritis. This was found to be a risk factor for the development of IBS in childhood. When a pathogenic organism makes itself at home in your GI tract, this is known as acute gastroenteritis. This later manifests as post infectious IBS. These organisms then go on to induce inflammatory reactions which underpin the nasty symptoms of IBS. Up to 15% of IBS cases are thought to be post infectious. To get the most out of your herbs, use them in an essential oil preparation. You may consider using them in combinations. The large number of compounds act on a wider range of bacteria, exerting a stronger, synergistic effect. Synergistic antimicrobial effects have been seen in two or more oils against human pathogens. This diversity of compounds also reduces the chance of producing resistant bacteria. Always make sure to check any interactions before combining. You can use essential oils in capsule form, with the addition of a carrier oil such as Coconut oil, hemp seed oil and avocado oil. Dilute the oils as specified by the instructions, usually just a few drops. Essential oils are powerful, so use them as per their recommended doses. Great post! I was wondering if you could answer something for me. 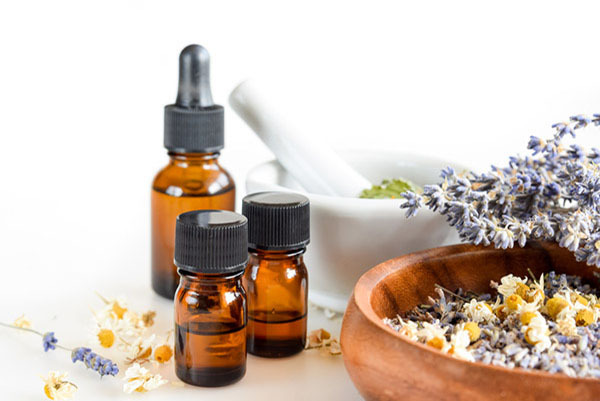 Is it possible to get addicted to essential oils? I just started using them and there’s so much conflicting information. I appreciate any answers you can give me. Hi Hilde. I haven’t reviewed any evidence on any addictive qualities of essential oils, nor have I heard anecdotally of them being addictive. But, I suppose that partly depends on who is using them and for what purpose, since some people can be behaviourally as well as chemically predisposed to addictions. I cant speak for all essential oils, as some plants may have desirable qualities that leave you wanting more.